InterDesign's 3 Drawer Organizer is ideal for use in any room of the home. 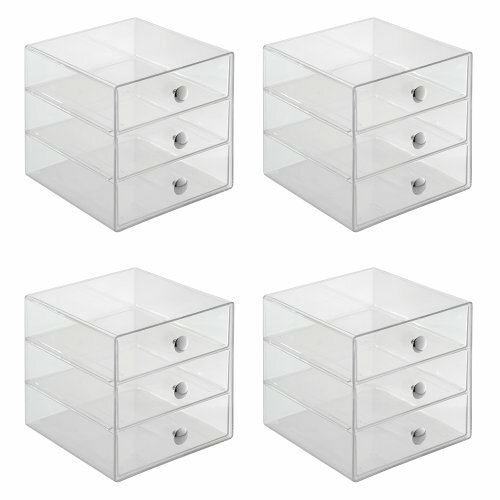 Organize your cosmetics, office supplies, jewelry and more for easy access. Sturdy plastic construction with Chrome knobs. 6.5" x 6.5" x 6.5"